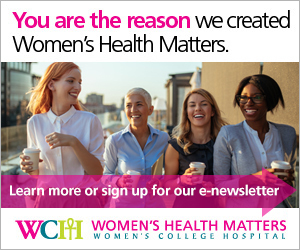 Women's Health Matters - How can I reduce my sodium intake? Sodium is a nutrient that your body needs, but modern eating habits make it easy – and common – to get more than necessary. The average adult needs 1,500 milligrams of sodium per day, and the upper recommended limit is 2,400 milligrams. The average Canadian consumes more than 3,000 milligrams per day. Sodium is found in all types of salt, including table salt, sea salt and kosher salt. But Bourgeois notes that the excess sodium in Canadians’ diets is not necessarily coming from the salt shaker on the table. In fact, more than 75 per cent of the sodium in the average Canadian’s diet comes from sources such as restaurant foods, takeout foods, and ready-to-eat foods such as frozen meals, canned goods and snack foods. Bourgeois says most ready-to-eat, takeout or restaurant entrées probably have 1,200-1,600 milligrams of sodium. Even salads can have more than 1,000 milligrams, with some more than 1,500 milligrams. Frozen pizzas often have 900 milligrams of sodium per slice. “So if you eat two or three slices, which most people do, suddenly you’re over your daily amount in one meal,” Bourgeois says. You’ll find high amounts of sodium in most products labeled “seasoned” such as seasoned frozen meats and potato products such as frozen French fries. Canned goods and deli meats are also high in sodium, and beware of condiments such as barbecue sauce, steak sauce or soy sauce that can be very high in sodium. Some of the more surprising places where sodium lurks include baked goods and prepared cereals. Breads, bagels and pitas contain about 150 milligrams per slice, and a serving of ready-to-eat cereal has 150-300 milligrams. You can find out how much sodium is in the packaged foods you eat just by checking the label. Bourgeois notes that sodium will be listed both in milligrams, and as a per cent daily value. Don’t forget to check the serving size, and multiply the milligrams or percentage if you’re having more than one serving. If you don’t want to add up milligrams, use the per cent daily value (%DV on the label). One thing to keep in mind when looking at per cent daily value of sodium, rather than milligrams, is that those per cent values are calculated using the upper sodium limit of 2,400 milligrams per day, rather than the recommended 1,500 milligrams per day. “So you’re not looking to meet 100 per cent of the daily value,” Bourgeois says. Other things to look for on food labels include terms like “salt free,” “sodium free” or “without salt,” and “low in sodium” or “low in salt.” Products labeled “less salt” or “reduced salt” aren’t necessarily low in sodium, so check the nutrition label. When eating out or getting takeout, you can check the restaurant’s website for nutritional information, including sodium, which may help you make healthier choices. However, one of the best ways to reduce your sodium intake is to skip restaurants, takeout and ready-to-eat foods altogether. Making food at home gives you more control over what you’re eating. To reduce sodium in home cooking, try reducing the amount of added salt, using salt-free seasoning blends, monitoring your sauce and condiment intake, and cutting stock mix amounts in half. “Chicken stock, beef stock or vegetable stock are all pretty high in salt. Whatever the recipe calls for, if you use half the amount of stock – the liquid or cube – but use that full amount of water, you’re essentially cutting your salt in half,” Bourgeois says. Finally, Bourgeois recommends exploring all the wonderful flavours that aren’t salt.